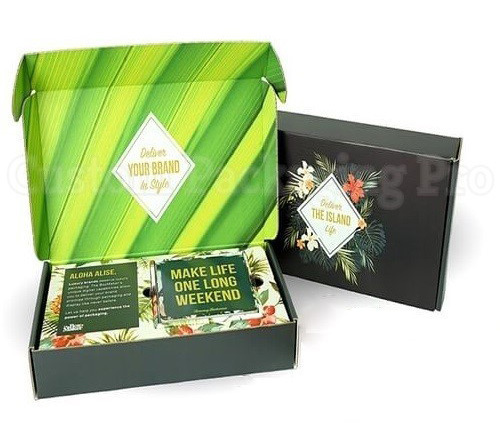 Subscription boxes is a design of box belonging to the class of fold and assemble style category. These boxes are non-glued and have double walls with tucked ends. The ends at the sides of this box are rolled along for a complete and appropriate formation of it. 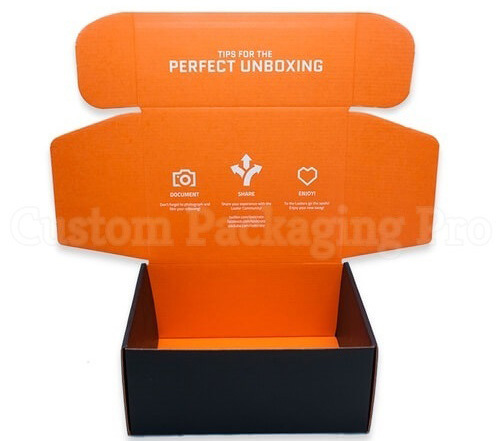 Custom Packaging Pro offers retail boxes wholesale as well as custom retail boxes in competitive prices without compromising on quality of the product. 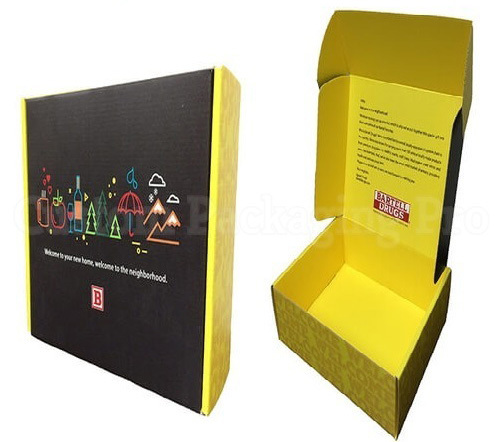 Subscription boxes is a design of box belonging to the class of fold and assemble style category. These boxes are non-glued and have double walls with tucked ends. The ends at the sides of this box are rolled along for a complete and appropriate formation of it. 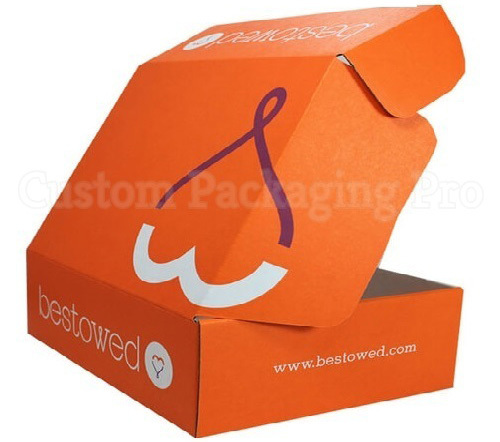 These Custom retail packaging boxes can be ordered according to your products specification. 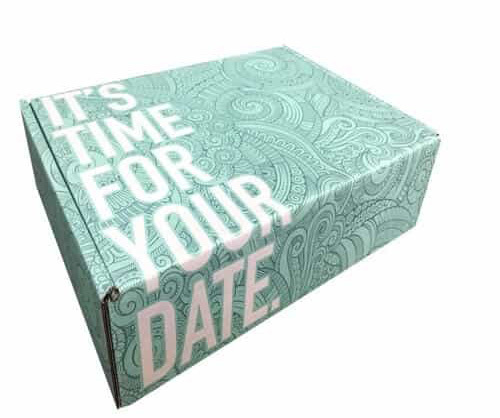 Subscription boxes have become ubiquitous. This type of service is not a new concept, some solely offer subscription boxes while others added the service to an already existing business, but why? People love receiving gifts. Would you turn down a monthly (or semi-annual) delivery that contains unique items you wouldn’t normally have thought to purchase? No matter your interests, this is the year of the subscription box and there is probably one to fit your needs. This type of packaging is ideal for wrapping up weighty objects as it guarantees optimum support and protection to the material kept inside. 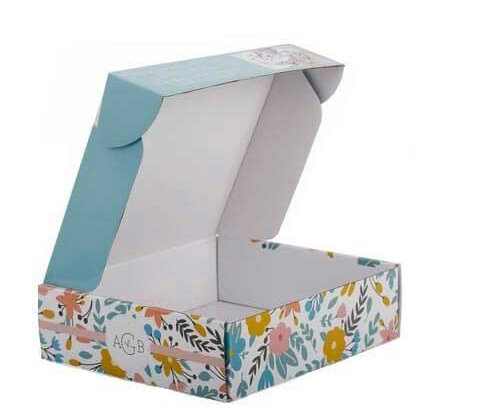 There is an additional panel at the front of this box having 2 cherry locks which ensures maximum durability of this box.There are several key aspects that make glossy box is the gift that keeps on giving. Our Glossies receive a beautifully wrapped keepsake box with at least five travel- to full-size beauty products, carefully selected by our beauty experts. We put a lot of heart and dedication into a luxurious presentation boxes and a refined box composition. It offers complete safety and security of the products kept inside. It can be customized in terms of size and dimensions as per the requirement ad request of the purchasers. It is durable as made with a sturdy material thus providing a long lasting use. It is easy to ship. All of these features make Double Wall Tuck Front box an ideal container for protected and long last containment of your heavy objects.